Large developments and landmarks receive all of the attention, but the real character of a city is flavored by the hundreds of small places scattered around. Jane Jacobs had little positive to say about Central Park in her own New York City, but she reveled in the many "pocket parks" tucked away in neighborhoods across the city. In fact, her entire vision for neighborhoods of diverse uses counts on the shops, homes, even industry being small enough to fit together without overwhelming the adjacent properties with what she called a "border vacuum." Similarly, William H. Whyte's classic study, aptly titled Social life of small urban spaces, insisted that public space needs to be small enough to generate the energy of human interaction. Perhaps, in the words of another 70's iconic figure, "small is beautiful." That's why I'd like to highlight two places in Charlottesville that I feel add significant value to the city, beyond their small size. McGuffey park sits on a little hill two blocks north of downtown. Weighing in at only about an acre (the size of a largish suburban lawn), the park packs enough in to attract children of various ages and their parents. 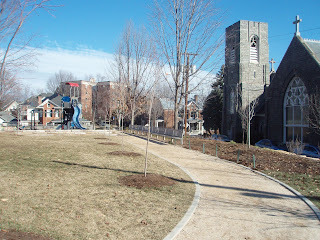 A walking path welcomes visitors to pace around, and gives a great opportunity for disabled residents to use the park. Benches and seats are supplied generously, welcoming people to simply linger for a while. 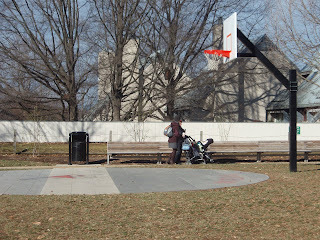 The park's location on a small hill creates the perfect balance between seclusion and participation with street life. This can be a difficult challenge for park design. Users want to feel safely removed from traffic, but barriers such as walls and fences create their own safety issues and a sense of claustrophobia. Being a few feet above street level solves this problem and opens up the view to the wonderful Episcopal church building next door. While McGuffey is a new park, Timberlake Drug store has been in business for almost 120 years. I believe it is one of two places in downtown Charlottesville, where one can still purchase toothpaste (although there are rumors of a new grocery store). What I love about this store is that it has all of the charm and the prime location on the downtown mall to transform itself into a tourist-oriented souvenir shop, yet it remains the sundries store I imagine it has been all along, selling different drugs of course. A cafe in the back of the store is always packed with people year-round. I get the feeling this is one of those places that characterizes a living history of Charlottesville - a place that honors it's past without preserving it in ember. There is no doubt that both the public face and the social or economic function of these places add to the community as a whole. Great Post. 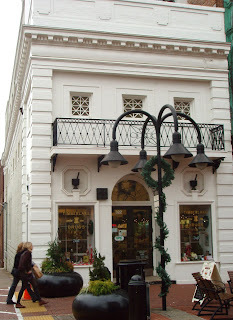 I would love to hear other people's favorite "little places" in Charlottesville. For me, it's Schenks Greenway. Let me explain. I realize it's right on McIntire Rd and in no way a destination in itself - more of a buffer. I used to think it was an odd use of green space. And then I bought a house on McIntire Rd. It's something to come out of your house and see a truck dropping off a huge piece of art across the street. From the art in the place to the nice walkway - it's a small area that provides me with great personal benefit - green buffer, walkway to the park or downtown, and aesthetic appeal. Something seemingly innocuous as that green strip can make a big difference. Keep up the good posts.